East Kolkata Wetlands were unknown to the world as any ecosystem of consequence, even in 1980. Today, many around the world have come to know about it because this is a Ramsar site, so declared in 2002. The total wetland area falling within the boundary is 12,500 hectares, of which about 4000 hectares are fish ponds and the rest mostly paddy fields using wastewater, and also settlement villages. It became a Ramsar site as the first and so far the only wetland in South Asia to have been selected for its wise use criteria. Today, wise use is the focus of Ramsars perception of wetland conservation. Why do we talk about wise use in relation to the wetlands to the east of Kolkata. For a number of reasons. Primarily, it acts as a natural biological sewage treatment plant for most of Kolkata’s wastewater. In fact, Kolkata never accepted any fund for conventional sewage treatment plant from the Government of India. The reactor behaviour is simple. These are shallow ponds, about one metre deep and being located in a tropical climate, there is ample sunshine that can reach the pond bottom. Therefore these ponds ideally behave as stabilisation ponds. Stabilisation ponds are the best wastewater treatment option when land is available. These ponds provide more than 10,000 tons of fish per year and sewage-fed agriculture brings about 150 tons of vegetable daily. This also gives a stable urban fringe, with economically active villagers not interested to plunge from the periphery to the city proper in search of livelihood. It is not generally a big deal to produce fish or vegetables but when it is produced at the edge of the city it has impact on the economy by way of reduced transportation cost to market the products. For two more reasons Kolkata is one of the cheapest metropolitan cities. Kolkata has a river to get drinking water namely the Hugli river to its west, another one to discharge wastewater which is Kulti at its east, and copious groundwater below the city. I call Kolkata an ecologically subsidised city where wetlands play a crucial role. Yet, a wetland by the side of the metropolitan city without threat from real estate is an absurdity. The future of the East Kolkata Wetlands will depend upon the ecological sensitivity of those who suffer. At this time there is little trace of any demanding citizenry. Real estate is moving in steadily. 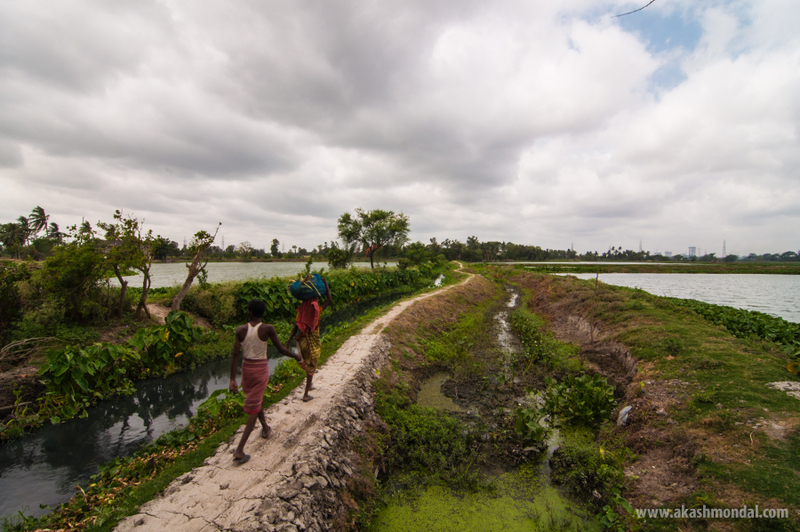 The traditional fish farmers and fish producers of the East Kolkata Wetlands have brought up a new world view: wastewater is a nutrient. Mainstream disciplines know wastewater as a ?pollutant?. This is a fundamental contribution to human knowledge and we have a long way to go with that. Dr. Gosh is a renowned wetland scientist based in Kolkata, India and a UN Global 500 laureate.